A few weeks ago, I made my kids pasta with pesto and sauteed green beans. A fairly typical dinner for us. 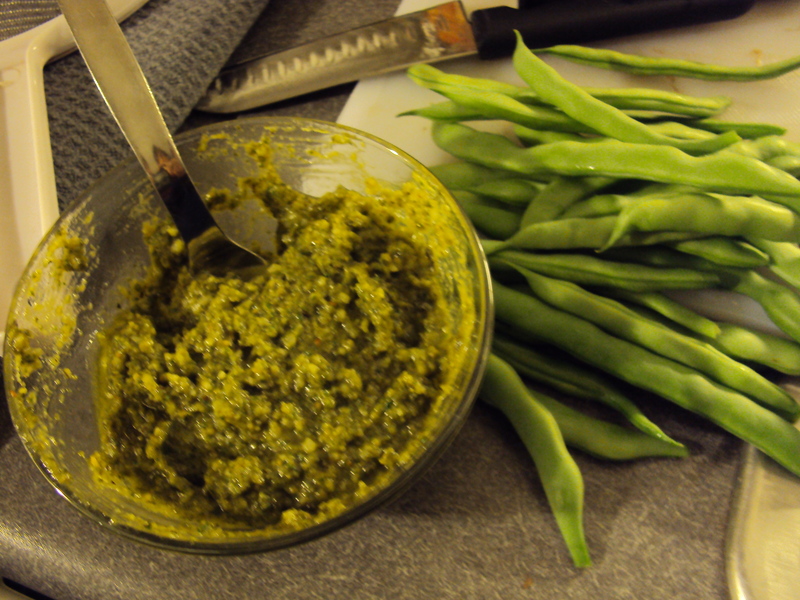 But what made it unusual was that we picked the basil for the pesto and the green beans in our family’s organic garden. A few weeks earlier I had decided I was a total failure as a gardener. I had spent quite a bit of money to create this garden. Unfortunately, in early September, I still had nothing to show for my efforts…or expenses! I convinced myself it wasn’t a big deal and even laughed a bit about it. But one day, while unlocking the door to my house, I glanced over at the garden and saw a big green bean waiting to be picked! I ran to investigate and found that we had a whole bunch of green beans that were full fledged real food we had grown. I was delighted! I also learned from Peterson Garden Project‘s Facebook pictures that what I thought was spinach, was actually basil. Thus, a home grown feast (at least partially) was born! 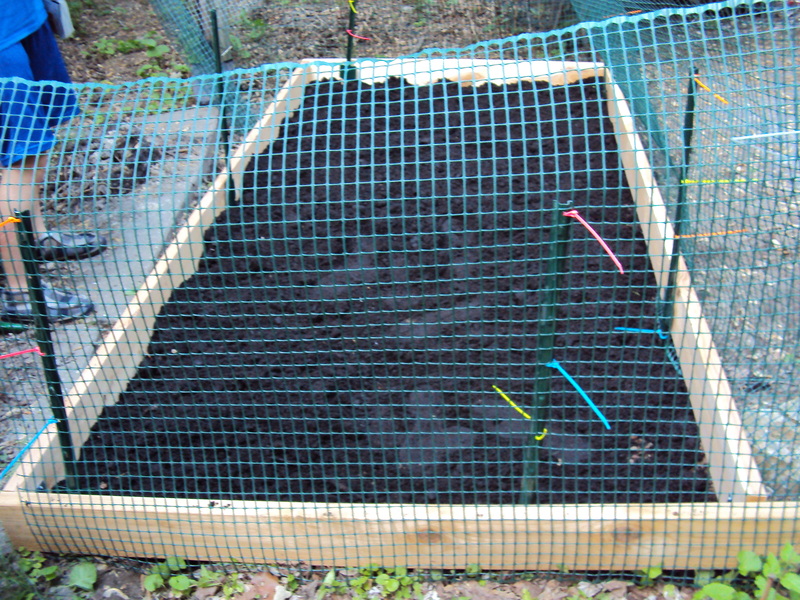 I created this garden because I thought we as a family would benefit from the experience. I also felt it was a less expensive way to provide healthy food. However, my expectations did not align at all with what actually took place. The real benefits were ones I did not anticipate. We really didn’t get much in terms of produce from our garden. I found that, other than some limited time with my kids, I did most of the work alone. However, when I first began this gardening project, I became a part of a large community of gardeners, both online and in face to face interactions. Some of these interactions have expanded well beyond the concept of gardening and have blossomed into full blown engagement. 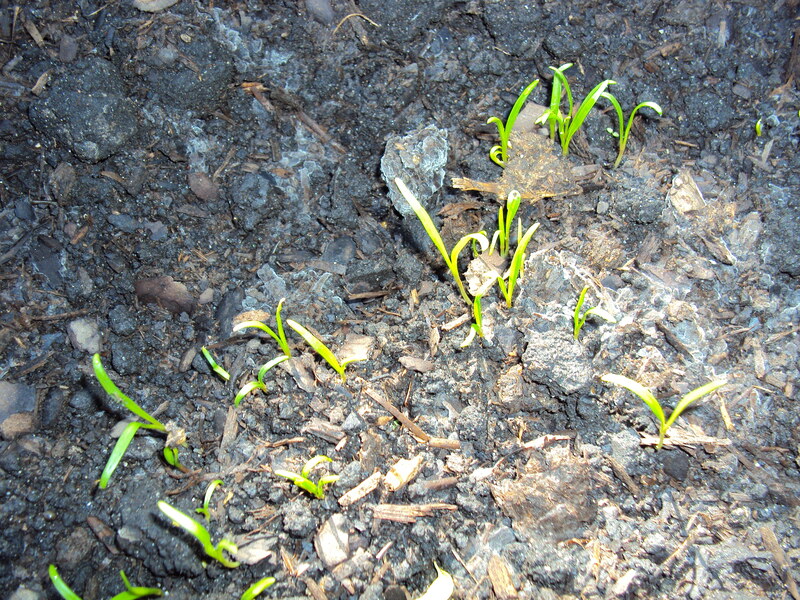 Additionally, when I first saw the beginnings of green things pushing up through the soil, I experienced a sense of joy that I didn’t anticipate. 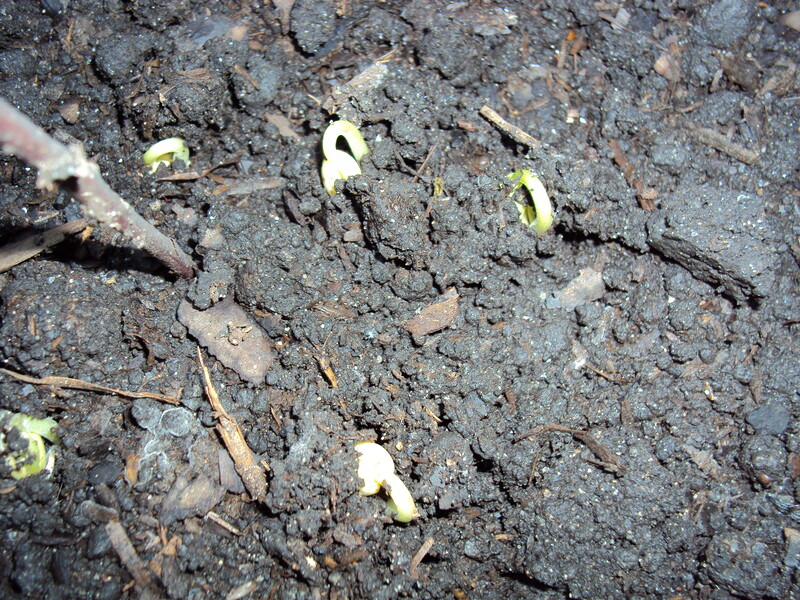 And when I saw that one lone green bean, again, I felt a deep sense of happiness. When I first embarked on this project, I assumed success meant lots of home grown vegetables for my family. Although by that measure, the garden was a catastrophic failure, I am overwhelmed by how meaningful the experience was for me. And I find that it aligns in significant ways with another recent experience. About a year ago, I attended SocialDevCamp Chicago (SDCChi.) Although much of the content at the conference was far beyond my ability to understand, I was moved by the incredible interactions I had with participants. I suggested to Tim Courtney (one of the SDCChi founders) that we needed to do a similar technology conference for nonprofit organizations. Tim said it was a great idea. Over the next year I worked to build this nonprofit technology conference. My vision was to create an event for 200-300 nonprofit professionals to learn about technology. That event, Chicago COUNTs: A NetSquared Camp took place on September 12. And like my garden, its success looked very different from what I first anticipated it would be. We had 70 people participate, not 200. However, those 70 people were a group of rock stars in my world. And because the group was only 70 people, there was a feeling of intimacy among participants. People felt as though they were part of a very special community that was filled with wonderful resources, insights and support. The feedback I received both during and after the event confirmed my own reactions to the day. People expressed feelings of being profoundly impacted and suggested that this event was the beginning of exciting new changes in the community. Ultimately, I experienced the supreme joy that I had hoped I would at Chicago COUNTs…but not for the reasons I had thought. So now, as I embark upon building my own nonprofit consulting business (please send organizations and individuals my way!) I am thinking about these two surprising experiences. I have a sense of what I want to create. I want to work with organizations to help them expand their networks and to design innovative and exciting substantive programming. I am confident these are two areas in which I could have a strong and positive impact. Once again, I have expectations about what my success will look like. However, after this past year of surprises, I am a little curious too. Because clearly, success isn’t always what we expect it to be.